A locksmith sees a lot of interesting things in customers on the job, from common sense issues to misplaced trust to uninformed mistakes. Here are some tips of locksmith information that you wouldn’t have guessed. 1) Don’t depend on a contractor’s work for installing locks or deadbolts. Contractors are paid fo temporary jobs and are not necessarily specialists. Many times when they install new locks for you, they don’t know how to do it properly. Homeowners usually just trust that the job was done correctly when in fact it was not, leaving themselves vulnerable to housebreakers. Locksmiths see this all the time when they come to fix a door lock – they find that it was never functional in the first place. 2) Only buy from reliable sources. Locks, keys, and especially safes should only be purchased from a reliable source. Flea markets, the internet, and auctions may be questionable sources. You’re better off investing a little bit more money in a good quality safe from a trusted source than in having to spend several hundred to reopen a faulty product. 3) Before you call a locksmith, try to open the door. Locksmiths see a surprising number of people who fail to make this common sense decision. Try it yourself, call a friend or neighbor, or somehow attempt to get in your door first. Even if you don’t have your keys, see if the door is unlocked and try to open it before you call a locksmith, otherwise you could get charged for unnecessary services. 4) Open safes slowly and carefully. A common mistake that locksmiths see is that safe owners turn the combination dial too quickly and try to open it before it was successfully unlocked. If you take your time to turn the dial slowly and carefully, following instructions exactly, you shouldn’t run into a problem and shouldn’t need to call a locksmith. 5) Know your resources for key make and key copying. Car dealers sometimes lie to their customers that they are the only ones who can make or duplicate their keys. This is just a tactic to ensure that you return to them for business. In reality, you can go to an auto locksmith and get your keys made for a more affordable price. 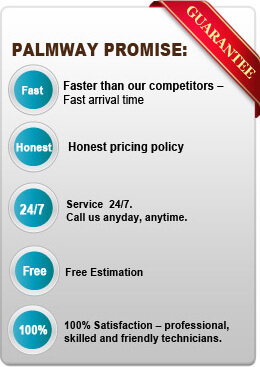 For more information and helpful tips about locksmith, call us at Palmway Locksmith in Corona.